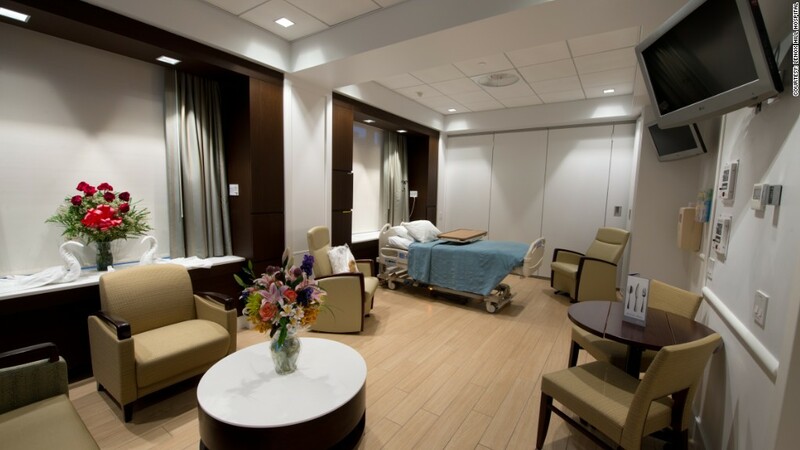 Private maternity rooms at Lenox Hill Hospital, where Beyonce gave birth to her daughter Blue Ivy, go for up to $2,400 per night. But it's not like that for everyone. Many hospitals across the country offer the option to avoid that entirely in favor of privacy, plush linens, marble bathrooms and dinner on china. Of course, a five-star stay often comes with a four-figure pricetag. Take, for example, a stay at the elite Greenberg 14 South wing at NewYork-Presbyterian/Weill Cornell. Much like a hotel, the hospital's website advertises its "quiet elegance," listing amenities like patient concierges, private dining rooms, high-end toiletries, marble bathrooms with euro-style walk-in showers and queen-size sleepers for guests, Frette linens and original framed artwork. Recovering in one of these rooms costs anywhere from $1,200 to $2,100 per night, depending on what size room a patient chooses and what view they opt for. This is on top of what insurance pays for, so this price comes out of pocket. This isn't just a New York phenomenon, though the price drops significantly elsewhere. For $525 per night, patients staying in one of the Penn Pavilion at the University of Pennsylvania in Philadelphia 10 suites have access to express check-ins, a concierge, afternoon tea, plush robes, gourmet meals on china and the option of a private nurse. At the Emory University Hospital in Atlanta, there are 11 suites that offer fine linens, a pull-out couch for guests and a concierge who can arrange hairstylists or complete business tasks. The suites cost $275 per night. Deluxe maternity suites are some of the most talked-about and tricked-out of the bunch. That's because most expecting mothers are worried enough about going through labor and new parenthood that the thought of having to share a room with another new parent and their crying baby, their nervous family members, their balloons and teddy bears and their anxiety is too much. But avoiding that costs a pretty penny. Celebrity-favorited Cedars-Sinai in Los Angeles offers two- or three-room options in its maternity wing that range from $3,600 to $5,100 per night. That gets moms a personal doula, three meals each day for two people, including vegetarian and vegan options, chilled juices and a hotel-style robe to take home. For an additional fee, manicures and pedicures can be arranged. Lenox Hill, the New York hospital where Chelsea Clinton had her daughter Charlotte and where Beyonce famously gave birth to Blue Ivy and reportedly had plenty of space and privacy to do so, has several options for private rooms, which range from $850 to $2,400 per night, depending on if they have a sitting room and kitchenette. Just blocks away, Mount Sinai also offers private rooms that vary in prices, depending on their view. A standard suite with a bridge view goes for $550 per night, whereas a deluxe room with a Central Park view is priced at $1,100. 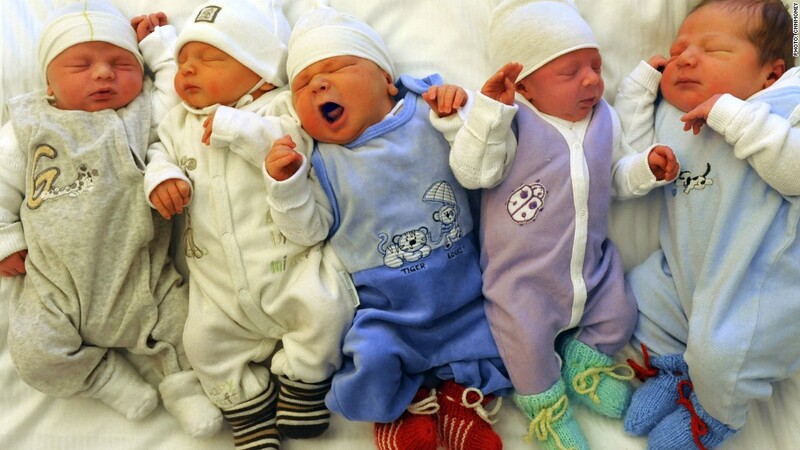 Outside of big cities on either coast, a deluxe maternity suite is less of a hit. Medical City Hospital in Dallas has rooms with separate family rooms with guest beds, spa tubs and entertainment center for $250 per night.